Stress, noise and hassles are burdens of our everyday city life. In moments like these, there is nothing more beautiful than to pack your bags and to enjoy a farm holiday in South Tyrol in the wonderful village of Ridanna. The splendid Ridanna Valley – which is enclosed by the Giovo mountain range to the north and the Stubai Alps to the south – is home to our family farm Nagelehof (located at 1360 m above sea level). 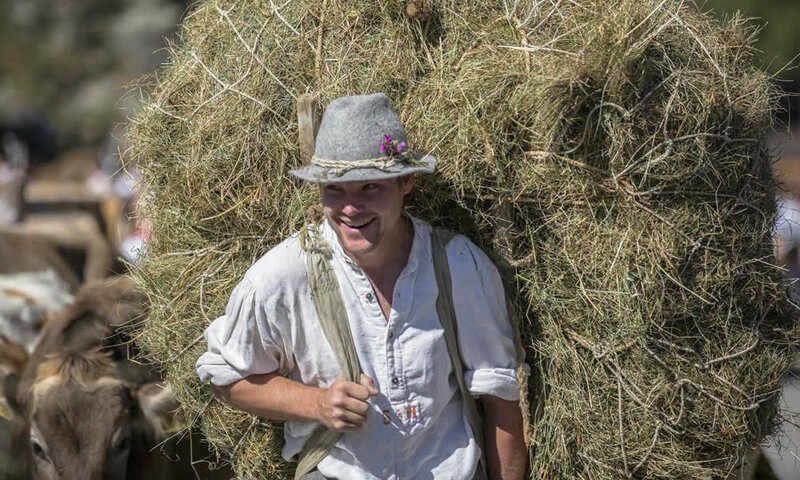 Surrounded by flowering meadows and woods, with a panoramic view on a breath-taking mountain scenery, you will spend a couple of wonderfully carefree days and also get a closer view of the day to day life of a real South Tyrolean mountain farmer. An amazing experience and great fun for the entire family! Our farm offers countless things to discover: You and your kids may enjoy the wonderful nature all year around and get to know our farm animals. 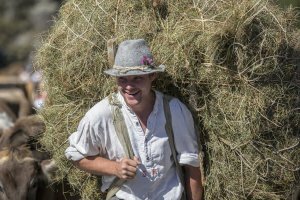 There are always plenty of things to do on the farm Nagelehof, thus, you’re always welcome to give us a hand in the barn or during the hay harvest – a great adventure especially for kids. 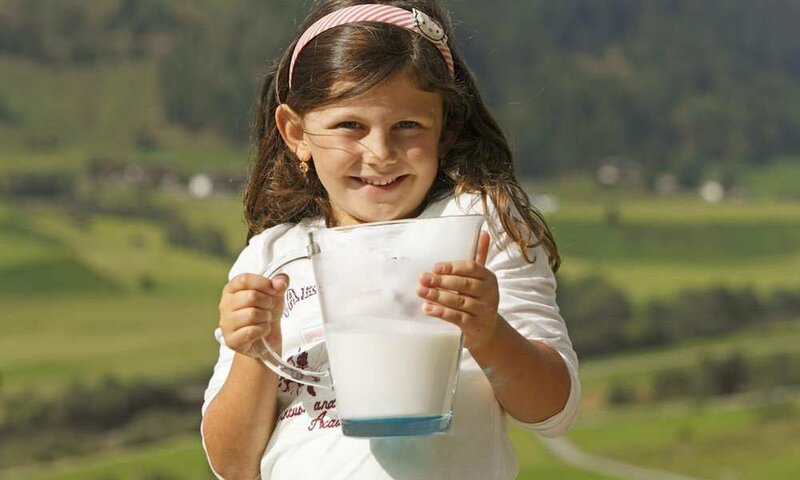 Furthermore, our mountain farm in South Tyrol is an ideal starting point to discover the fabulous 18-km Ridanna Valley: The Monteneve, which is famous for its almost millennial mining history and as Europe’s highest mine; or the Ghiacciaio di Malevalle – the biggest glacier in South Tyrol. After an exciting day in the mountains, you may wonderfully relax and chill out in your spacious holiday apartment in Ridanna – Racines. Very sunny and with plenty of space for 2 – 4 persons, our holiday flats in South Tyrol not only offer a stunning panoramic view, but everything you need in order to enjoy a blissful vacation: a private kitchen, a living area, a bedroom, a shower & WC and of course an extra-large balcony. From there, you can see the impressive water falls of our region. Our holiday apartments meet the highest standards and have been awarded with the prestigious “3 Flowers Farm Award” by the South Tyrolean quality brand “Red Rooster”. Every day, at the farm Nagelehof you may look forward to fresh and home-made farm products. Enjoy a glass of energising, creamy cow milk or free-range eggs. Besides our delicious jams and cheeses, you will find many other genuine products. By the way: We really cherish family values! 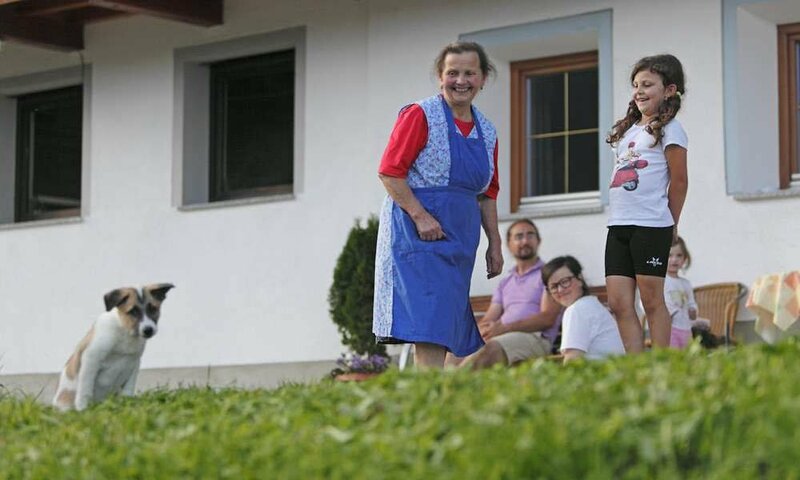 Since more than 200 years, our mountain farm is a family estate that has been passed on from generation to generation. We are looking forward to welcoming you as a part of our family. Just imagine: You open your eyes after a good night’s sleep, and the first sunrays caress your face. Outside, the rooster calls you to enjoy a healthy breakfast. Fresh, wonderfully fragrant bread rolls with jam and homemade cream cheese and a glass of freshly milked cow milk are already waiting for you. The rich and sweet taste is simply amazing! 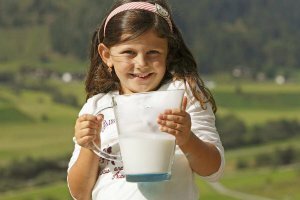 Enjoy this extra portion of relaxation and adventure during your farm holiday in South Tyrol – Ridanna. Our farm Nagelehof, which we – the Nagele Family – manage since many decades, is located 1360 meters above sea level in the heart of a picturesque mountain landscape. Here, you will be pampered by the genuine hospitality of South Tyrol and enjoy the Italian flair of the surrounding towns. Our farm is a huge adventure playground for you and your kids! The same is true for the surrounding mountain scenery of the Ridanna Valley: Climb the white marble walls of the Gorge of Stanghe. Like Reinhold Messner in his younger years, you can conquer the biggest glacier in South Tyrol – the Ghiacciaio di Malevalle. Or visit the alpine pastures in the high valley of Racines with its picturesque hiking trails. Cycling, mountain biking, Nordic Walking and – during the summer – rafting in the wild waters of the Ridanna Valley are some of so many options during your farm holiday in Ridanna – South Tyrol. Our small mountain farm is a true jewel in the heart of the surrounding Ridanna Valley. Especially your kids will enjoy discovering Mother Nature in all her marvellous beauty – from blossoming green meadows to the hay harvest in fall. For sure, the children will also love to meet all the different animals living on our farm Nagelehof. Everyone will have a great time!